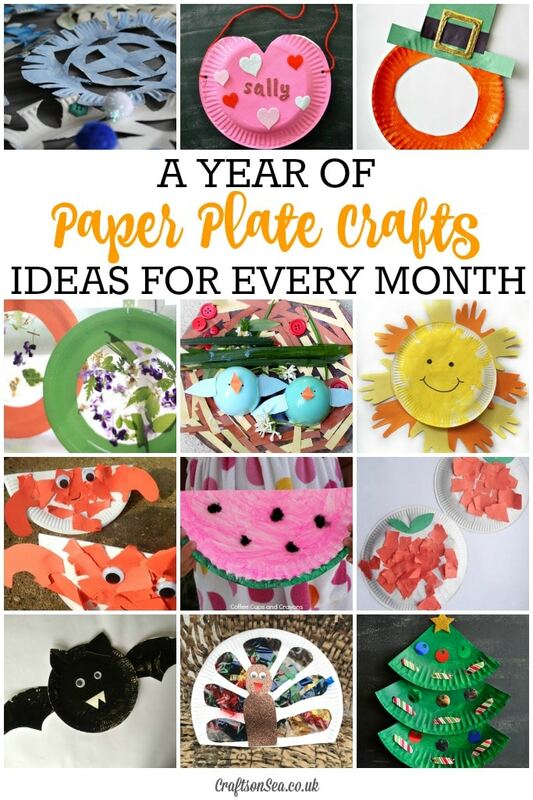 We love paper plate crafts as they are so cheap to do and so much fun for the kids! I always keep a big stack of paper plates in my cupboard so that the kids can get creative when them whenever they want. 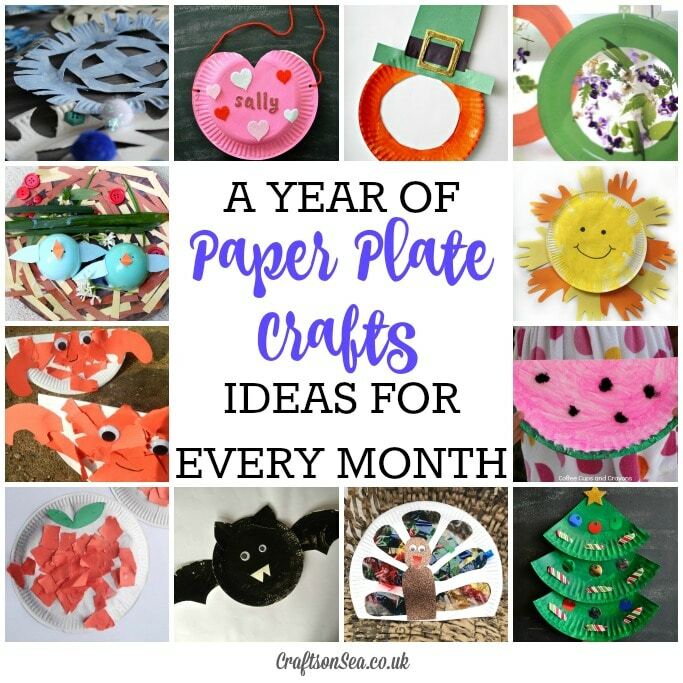 This guide will give you seasonal paper plate crafts for every month of the year, but don’t forget to check out all our paper plate crafts if you’d like some more cheap craft ideas! April – Enjoy the Spring flowers with these flowery paper plate suncatchers from Hands on as we Grow. May – Spring is a time for baby bird and I adore this sweet paper plate birds nest from Juggling with Kids. June – This paper plate sun is a great way to welcome in the summer months. July – These rocking paper plate crabs are a fun craft to make after a trip to the beach. August – This watermelon paper plate craft from Coffee Cups and Crayons is super cute and summery. October – Get the kids in the mood for spooky Halloween celebrations with these paper plate bats. December – This paper plate Christmas tree is a fabulous craft for kids from I Heart Crafty Things. If you love seasonal crafts you might also want to check out my round up of seasonal contact paper crafts for every month of the year and themed messy play activities for every month too! Love paper plate crafts? Make sure you follow my board on Pinterest for loads more inspiration all year round! Follow Kate Williams CraftsonSea’s board Paper Plate Crafts on Pinterest.